LOPBURI: A Japanese yakuza boss fleeing arrest for the murder of a rival criminal gangster has been arrested in Muang district, Lopburi, after 14 years on the run. A combined team of Interpol, local and immigration police detained Shineharu Shirai, 74, in tambon Tha Hin of Muang district yesterday (Jan 10) while he was out walking to buy food. Shirai is wanted by Japanese authorities for colluding with seven other gang members in the murder of a key member of a rival yaguza criminal syndicate in mid-July 2003. After the crime he fled Japan and until recently his whereabouts remained unknown. Then Japanese authorities obtained information he was hiding in Thailand and had a Thai wife. They sought help from the Royal Thai Police in tracking down the suspect. Police finally found him in Lopburi, which led to his arrest. 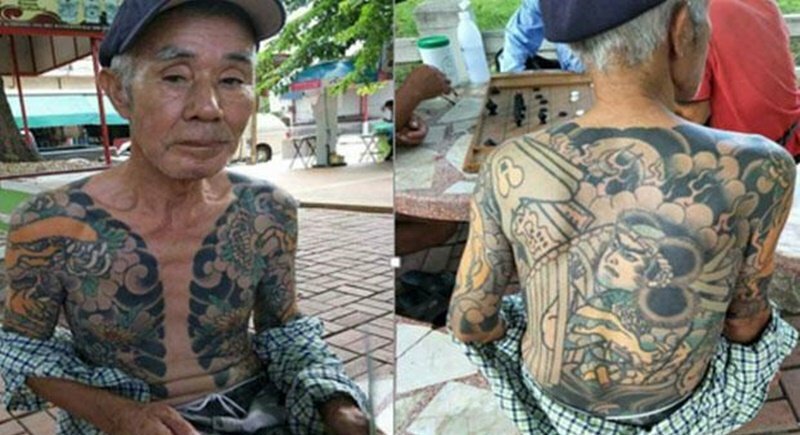 The suspect has intricate tattoos all over his body and is missing the little finger on his left hand – both signs of his yakuza membership. Col Ukrit Pooklan, deputy chief of the Loburi Police, said further details would be released later. Shirai is believed to be a leader of the Yamaguchi-gumi, Japan’s largest yakuza syndicate.